Port Authority police released the inset photo of Ismael Esquilin. Authorities say a man high on drugs stopped his van in the middle of a tunnel connecting New York and New Jersey to fondle himself. 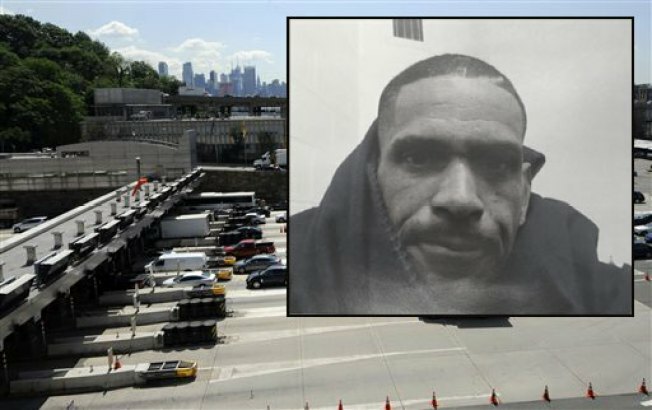 The Port Authority says 48-year-old Passaic resident Ismael Esquilin was found Thursday night removing his clothes and performing a lewd act while standing inside his minivan in the Lincoln Tunnel, one of the busiest in the world. He was stopped on the New Jersey side, headed to New York. Spokesman Joe Pentangelo says Esquilin admitted he had smoked PCP. He was taken to a hospital for observation. He was charged with drug possession, driving under the influence, reckless driving and impeding traffic. It wasn't immediately known if he had an attorney to comment on his behalf, and a phone number could not be located.